Description of the words. Sharing with your family and friends words and phrases like: Service above self… Getting more done with less. 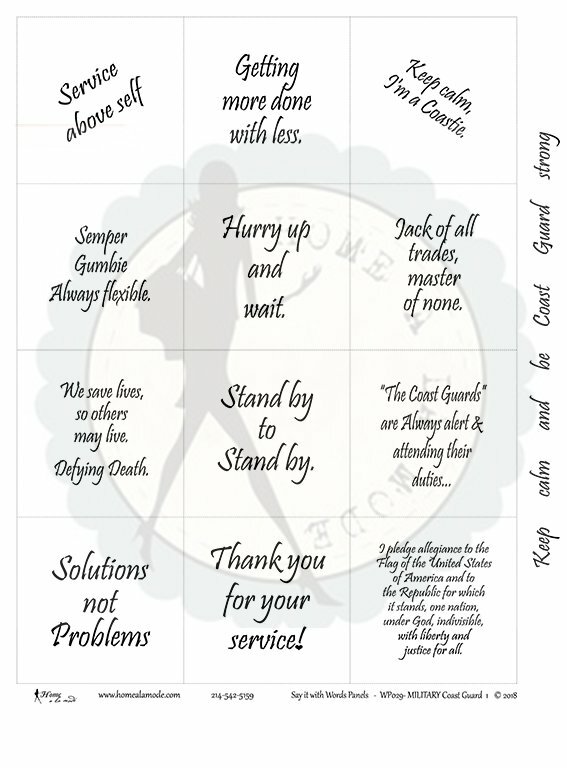 Keep calm, I'm a Coastie.Semper Gumbie, Always flexible. Hurry up and wait. Jack of all trades, master of none. We save lives, so others may live. Defying Death. Stand by to Stand by. “The Coast Guards” are Always alert & attending their duties... Solutions not Problems Thank you for your service! I pledge allegiance to the Flag of the United States of America and to the Republic for which it stands, one nation, under God, indivisible, with liberty and justice for all. Keep calm and be Coast Guard strong.